I just woke up in the middle of sleeping, and as a normal reaction I turned on my iPad. 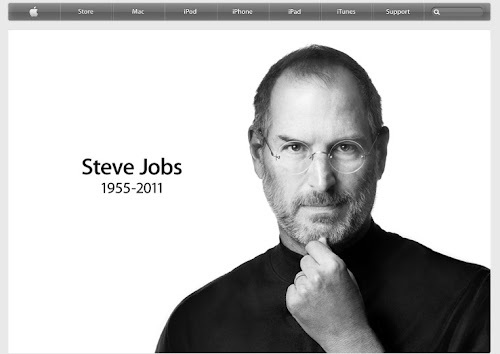 The news that greeted me was "Steve Jobs has died, according to Apple". This was a notification from CNN. I could hardly believe it. I read it twice, and even made sure this wasn't some sick joke message someone posted on my Facebook wall. But it wasn't, it's true. 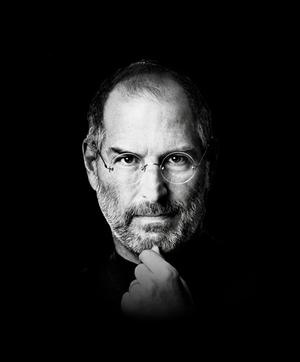 Mr Steve Jobs died peacefully earlier today surrounded by his family. It's not a surprise that I'm taking this news so badly, I'm not the only one. I've been overcome with sadness and lament when it finally sank in. But, I have to stress - and this is something I'm not shy about admitting - that I'm a really late Apple adopter. My first Apple experience was back in the last 80s and early 90s in the form of desktop solutions in my pre- and primary schools. Then a gap extended for several years when I lived in South Africa, a much more PC dominated country as Apple didn't yet move in. Anyways, that was the time when Apple experienced one of their darkest days, when the board fired Steve (what a ridiculous thing to have done). So this all didn't really count, let's be honest. I was on the side of the boring chubby bloke in a suit in that "I'm PC, I'm Mac" commercial. Still, only about five years ago, my friend convinced me to get and iPod Nano and everything suddenly began. I also own a first generation IPhone and iPad now. For portable music players, I'll never go back. For phones, I have yet to come by a phone as spectacular as the iPhone, nothing! But Mr Jobs' legacy is so much more than the amazingly refreshing products he created, envisioned, developed - whatever you want to call it. He was an inspirational leader, if you believe what you read (I tend to in this case). He is an intellect (I'll post the link later, but just look for his Stanford speech from a few years ago, it's a sensation! Edit: See the video below). He is, most of all, a visionary. I find big corporations all over the world, some very successful, some not, mostly all missing something. That something is a heart and a soul. I'm not talking about corporate citizenship and corporate social responsibility, I'm talking about a living and breathing personification of the company and its values. Some do, luckily, just look at Microsoft and Apple as the two best examples, even though the former is now run by a monkey in a suit and the latter is run by what appears to be an accountant. When companies do have this, and the person is generally, and logically, the founder or founding member of the company, it is inevitable that the spirit is diluted when that person is no longer there. This happens when that person leaves or resigns. More so, when that person dies. Mr Jobs, I thank you for everything you have given this world. Your innovations have propelled human thinking and opened up possibilities decades before they would normally have been possible. I'm a massive fan of your products, but more so, of you as a visionary and corporate leader. You are an inspiration.